Dopamine. You might not have heard of it before, but you have definitely felt its effects. It is a naturally produced chemical in the human brain that is integral to our reward-motivated behavioural functions. It is one of the reasons why Facebook and Candy Crush are very addictive. With every Facebook ‘like’ or comment on our status, Dopamine levels are slightly increased to ‘reward’ our brain’s pleasure center. Since our brain is also wired to see patterns and are compulsed to organization, dopamine levels also surge whenever we solve Candy Crush pattern after pattern. Other than plain ol’ ADHD, it is also chiefly responsible why PCs with clean organized cabling feels relaxing to look at while photos of systems with chaotic and poorly managed wires strewn about draws Internet commenter wrath. 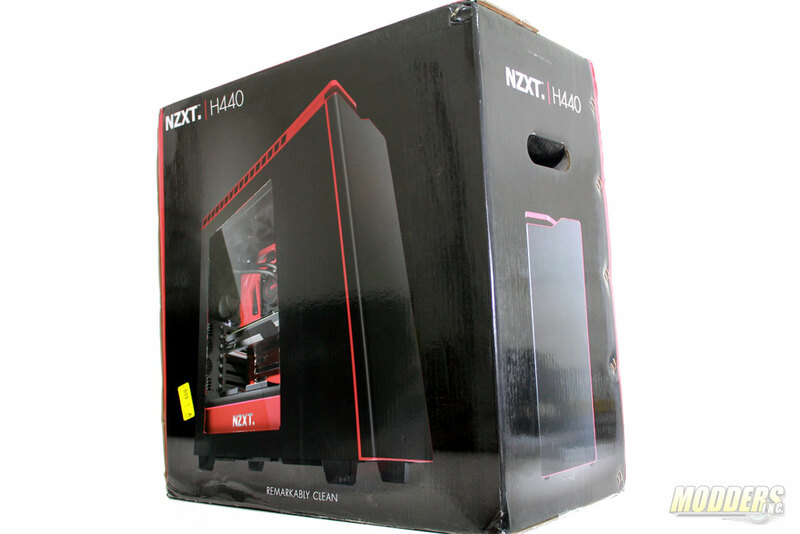 Review Sample Provided by: NZXT Product Name: H440 Mid-tower Case MSRP: $119 USD Product was given in exchange for work done to produce this review. 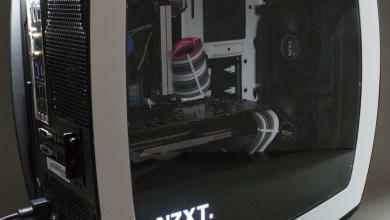 PC case manufacturers have been savvy to this effect as well and over the last few years have poured efforts in integrating better cable management capabilities in new designs, almost as much as they would on maximizing component compatibility. It was just the smart thing to do, since it will be their product being criticized for functionality whenever a regular user uploads a photo of their system looking messy. 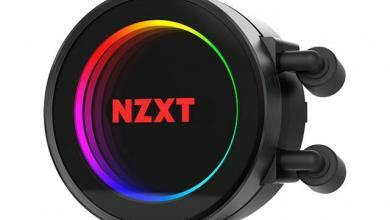 NZXT is taking the idea of cable management even further with their new H440 case by hiding critical cable choke-points while providing plenty of cable routes as well as offering remarkable cooling and radiator support on a mid-tower frame. 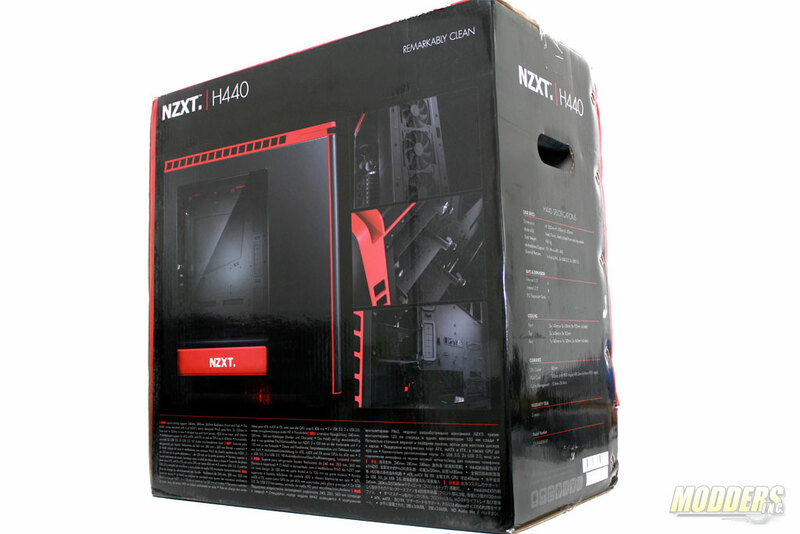 The H440 arrived in its retail packaging with a glossy box and color-matched theme. 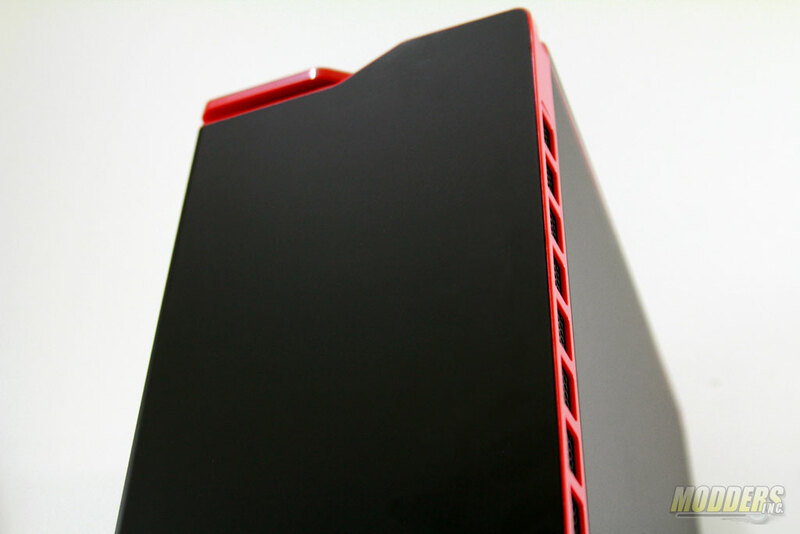 Since the H440 is available in two colors, the box indicates clearly whether you got a glossy white with black trim “Panda” color or the matte black with glossy red trim that you see here. 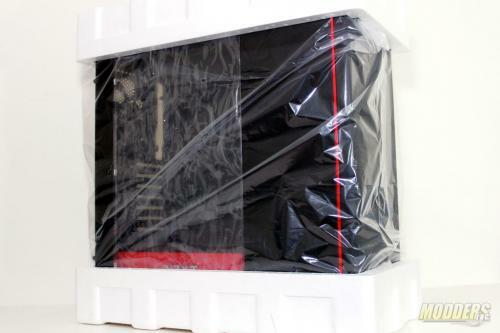 Packed with two large pieces of form-fitting styrofoam on both sides and covered with a large plastic bag, the H440 is well protected from scratches, dents and scrapes while it travels from storeroom to storeroom before it arrives to your home or office. 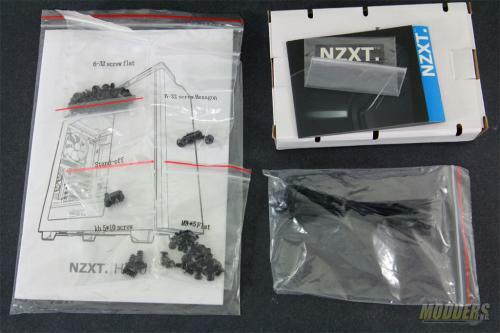 Each H440 comes with a promotional pamphlet, user’s guide as well as an accessory box mounted on one of the HDD cages filled with various screws and zip ties to complete the installation. All the different screws are housed in individual labelled packets so even novice builders can quickly build without taking the extra time to sort through which is which. The manual is multi-lingual and aided with easy-to-follow illustrations which can be a handy reference even for more advanced users looking to install large water-cooling radiators. An NZXT case badge is also included, something new that I have not seen before in any NZXT case. 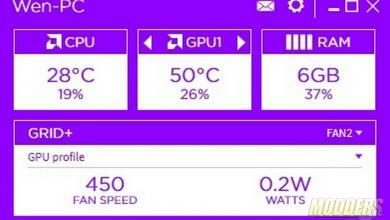 I have G skill Ripsaw ram that measures 40mm high and hopre to use the phanteks ph tc14pe heatsink which it appears you have done. However you are not mounting the front fan (over the RAM) . 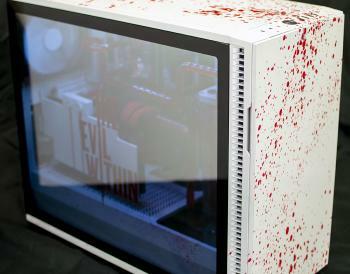 I believe the fan can be put on higher up the heatsink to allow for clearance, but by it’s absence in the build I am assuming that the heatsink and fan is toooooo tall for this case? Hi, I actually did not put in the front fan because I could not find the little plastic fan holder thingies that go with the TC14PE when I was taking a photo. 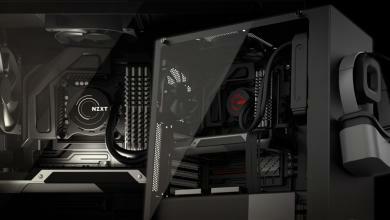 Total spec clearance is 180mm for the CPU cooler. 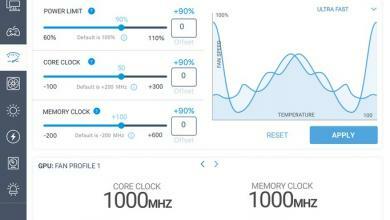 Going by Phanteks’ measurements on their product page, with dead on center, CPU cooler total height is 171mm with 32.92mm clearance for RAM at the bottom. 40mm less 32.92mm leaves 7.08mm, add that to 171mm height you get 178.08mm. 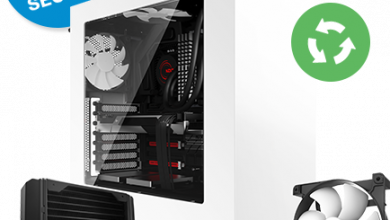 Also you can measure with RAM height 40mm + Phanteks 140mm fan height so that is still equal 180, although RAM height measurements include the connector so that is a few mm less. It might be tight but it should fit. I traded the case for a keyboard so I don’t have it anymore unfortunately, lemme ask around to verify. I f@c#!N hate these damn heatspreaders ruining standard RAM heights. They are not even necessary on DDR3 considering the voltages used. Thanks Ron …..that would be appreciated.